IT Process Wiki is run and sponsored by IT Process Maps, creators of the ITIL Process Map. The ITIL Wiki was started in 2007; it is available in English, German: ITIL-Wiki auf Deutsch and Spanish: Wiki de ITIL en español. Introductory information on the IT Infrastructure Library (ITIL). Reference material on ITIL and IT service management. Detailed guidance on ITSM and ITIL process management. ITIL describes best practices for the effective and efficient provision of IT services. ITIL was started in the 1980's when the IT services provided to the British government did not meet expectations, and a method had to be found to achieve better quality at lower costs. Today, ITIL is the most widely accepted approach to providing IT services. 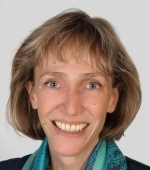 In our history of ITIL you can read more about how the framework has evolved over the years into the edition of ITIL 2011 and the most recent version of ITIL 4 (2019). There is also a growing trend towards "enterprise service management (ESM)" - shorthand for applying the ITIL approach beyond its traditional use in IT. Organizations that wish to demonstrate the quality of their IT service management processes can get certified against ISO 20000. If you are new to ITIL and service management, we recommend that you first understand the key principles behind ITIL. ITIL is not the only service management approach around, and if you are looking for a good first introduction to ITSM and enterprise service management best practice you can watch the video series about the "simple principles of good service management" on the YaSM site. In the first video, we discuss how customer focus is the key to success. The ITIL Service Lifecycle (ITIL V3 2011). Click on a process for more details! 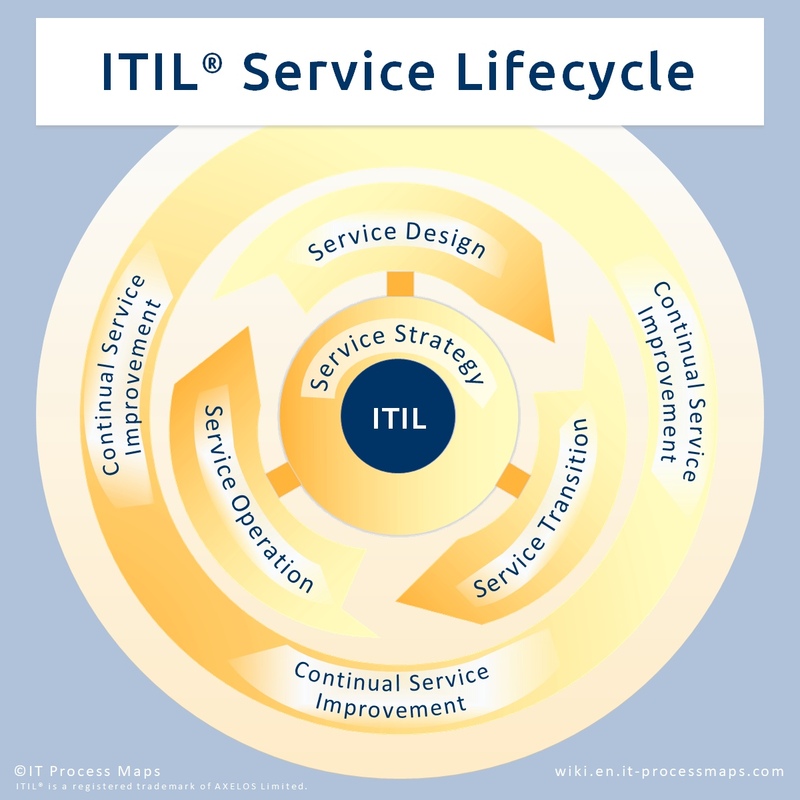 At the top level, ITIL is organized around the "ITIL Service Lifecycle" (see Fig. 1), and each of the five service lifecycle stages consists of several processes. The idea is that service providers check, on a regular basis, if their services are delivered according to expectations, and take corrective action if necessary. The ITIL Service Lifecycle and the ITIL processes are modelled upon a well-established management method for continual improvement, known for example as the "Plan-Do-Check-Act" or " PDCA cycle" that was made popular by Edwards Deming (see article in Wikipedia: PDCA). The ITIL Glossary in this Wiki provides definitions for the most popular and essential terms and acronyms used in ITIL® and IT Service Management (ITSM). 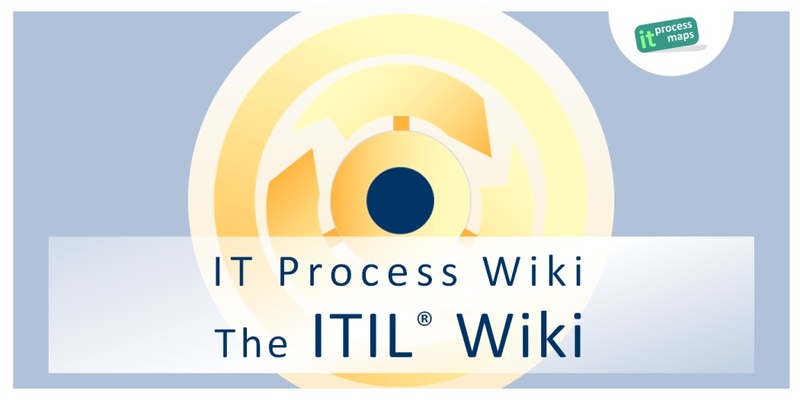 In the ITIL glossary, many terms contain links to related ITIL Wiki pages, such as ITIL processes, role definitions and ITIL templates and checklists. The free ITIL templates and checklists contained in the ITIL Wiki extend the definitions from the ITIL Glossary. Many ITIL terms relate to documents or records produced by the ITIL processes, and ITIL describes in quite a bit of detail what information should be contained in these documents and records. For example, in the Incident Management process we create Incident Records, and ITIL contains specific recommendations for the information that should be contained in such records. So in the ITIL Wiki we provide a collection of the most popular templates and checklists, explaining the most important ITIL process outputs in detail. The checklists (ITIL 2011) were created as part of the most recent version of the ITIL Process Map - an officially reviewed process model for ITIL. ITIL defines responsibilities through roles, where a role is "a set of responsibilities, activities and authorities granted to a person or team". Here in the ITIL Wiki you can find a complete list of ITIL roles with their specifications. There are also detailed RACI or responsibility matrices for each ITIL process, as in this example, the RACI matrix for Incident Management. How to adopt ITIL in practice: ITIL implementation projects are characterized by a typical course of action, and the page about implementing ITIL provides advice for your ITIL initiative. This advice includes an ITIL Implementation Guide in 10 Steps with detailed instructions on how to set up and carry out ITIL implementation projects, which can serve as a guideline for a wide range of ITIL initiatives. For a quick overview, please check out the infographic about ITIL implementations. ITIL knowledge: Reference material on ITIL and IT service management. ITIL Processes Detailed ITIL process descriptions - ITIL V3 (ITIL 2011 / ITIL 2007) and ITIL V2. Process overviews in pdf format for download. ITIL Glossary Navigable ITIL glossary offering direct access to all ITIL terms, ITIL process definitions and roles. ITIL 4 ITIL 4 was officially launched in February 2019 with the release of ITIL 4 Foundation. ITIL 4 vs. ITIL V3 Visit our YaSM Service Management Wiki: Detailed mapping between ITIL 4 and ITIL V3 (ITIL 2011). ITIL 2011 vs. ITIL V3 2007 Comparison between ITIL 2011 and ITIL V3 2007 ("ITIL Version 3") - the main changes and differences. ITIL V3 vs. ITIL V2 Comparison between ITIL V3 and ITIL V2 - the main changes and differences. ITIL Templates A comprehensive collection of ITIL checklists and ITIL templates. ITIL Roles Definitions of the ITIL roles and responsibilities. ITIL KPIs ITIL key performance indicators (KPI). A list of metrics for measuring ITIL process outcomes. ITIL Implementation ITIL implementation in 10 steps. Guidance on how to set up and carry out ITIL/ ITSM projects. ITIL Process Templates ITIL implementation based on ITIL templates. ISO 20000 ISO 20000 and ITIL. Process Management ITIL process management techniques - implementing and retaining best practice principles. Project Management Essential also for your ITIL project: Basic knowledge, checklists and tips for project management. ITIL Wiki News The latest news ITIL, ITSM and ESM. ITSM Events Public calendar of service management events throughout the world. More on ITIL and ITSM Additional Information on ITIL- Literature and ITIL/ ITSM links. 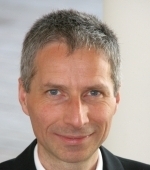 IT Process Maps, founded in 2006 by Stefan Kempter and Dr. Andrea Kempter, specializes in the provision of reference process models ("process templates") for service providers based on time-tested best-practice recommendations. Our well-founded know-how in the fields of IT management as well as process and project management stems from many years of experience as IT line managers and business consultants, working for leading businesses worldwide from a broad spectrum of industries. Our business is the provision of ready-to-use process templates and know-how to support you in your service management initiatives based on ITIL®, YaSM® or ISO/IEC 20000. Our ITIL reference model (the "ITIL® Process Map") on which this ITIL Wiki is based has successfully passed a thorough review by APMG, resulting in the awarding of the ITIL® Licensed Product logo. To give our customers an easy access into ITIL. To enable them to take their ITIL initiative into their own hands, reducing the need for external consulting. The ITIL® Process Map V3 2011 Edition covers the full ITIL 2011 service lifecycle. It is available as a complete process model for Microsoft Visio (ready for MS Visio 2016), for ARIS™ and for other widely used process management platforms. Our approach to presenting the ITIL concepts in the form of process diagrams and document templates has been well received and is used by hundreds of organizations world-wide. These organizations are generally in favor of service management best practice such as ITIL, but many also asked, "couldn't this be a bit less complex?". It was this apparent need for something simpler which sparked the creation of YaSM, which stands for 'Yet another Service Management Model'. The free YaSM Service Management Wiki offers a complete introduction to YaSM, our streamlined process model for service management and ISO 20000. The wiki provides examples of how YaSM can be applied to improve the delivery of services. Detailed descriptions of the YaSM service management processes. The new version of ISO 20000:2018 - see what's changed between ISO 20000:2018 and the earlier 2011 edition! Lea-Cox & Associates (LCA) started out in 1998 as a consultancy focused on Service Management and Intangible Value Management. An appropriate service management system. The right business services for an organization.